APAC, Uganda/LONDON, United Kingdom – Kate Opio, 33, was buoyant, cuddling one of her newborn twins in the maternity ward at a health centre in Uganda’s Apac District. The other twin slept peacefully beside them. But this lovely moment almost didn’t happen, Ms. Opio’s midwife explained. All three nearly died in childbirth. Ms. Opio wanted to add something, so she summoned her husband, who speaks English, from outside the maternity ward. Samuel Opio arrived with a smile. “We thank God for the midwife, and I want her to help other women the way she has helped my wife,” he said. Then he shared that the twins – while cherished – were not planned. Though he is overjoyed that the twins arrived in good health, Mr. Opio is now worried about providing for all six of his children. He and his wife requested a modern contraceptive method to prevent further unplanned pregnancies. Modern, reliable contraceptives enable couples to choose whether and when to have children. It also helps to preserve the health of women and girls, empowers them to pursue education and work, and boosts the ability of families to save and invest in the health and educations of their children. On a larger scale, access to voluntary family planning helps communities emerge from poverty. 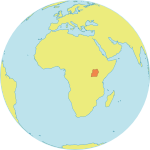 In 2012, at a summit in London, dozens of organizations and countries – including Uganda – agreed to support voluntary family planning, with the aim of reaching 120 million more women around the world. If this goal were achieved, the world would see approximately 110 million fewer unintended pregnancies, nearly 3 million fewer babies dying in their first year of life, and 200,000 fewer women and girls dying in pregnancy and childbirth. Progress has been made in the past five years. For instance, in Uganda, UNFPA has worked with the government to develop a family planning implementation plan. And since 2012, UNFPA has invested $32 million in family planning commodities for the country. “Over the past five years, contraceptive use among married women in Uganda has increased by almost 10 per cent,” said Alain Sibenaler, UNFPA’s Representative in the country. But there is a long way to go: Thirty-three per cent of Ugandan women and girls who are in a relationship would like to stop or delay childbearing but are not using contraception, according to the 2016 State of World Population Report. And these needs persist at the global level. An estimated 214 million women and girls in the developing world still have an unmet need for modern contraceptives. 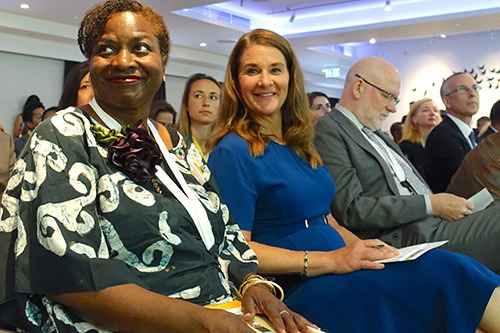 On Tuesday, 11 July, another Family Planning Summit was convened in London to address these needs. And participants delivered. International donors committed a total of $207 million to UNFPA to expand access to family planning commodities and services, strengthen national health systems and advocate equitable family planning policies. Of this, $74.1 million will be invested in UNFPA Supplies, the organization’s programme for expanding access to family planning commodities. Attendees also reaffirmed the importance of contraceptives at both the international and individual level.